The estimated visits is based on last month therefore it’s likely that the sites get 2-3x the traffic in January. [To learn more on how they define visits visit here – it’s essentially the same as Google Analytics’s sessions]. There are a number of caveats to the above grouping of ski companies. Inghams has a separate summer ‘Lakes & Mountains’ programme and therefore a significant % of it’s traffic is not snow related. Indeed Neilson has recently stated that it handles as many passengers in their summer programme as they do in their winter in a press statement about becoming independent from Thomas Cook. 3 The biggest ski site in the world? Neilson have recently taken control of their own email system and their signup process is one of the best I’ve seen in the ski industry (I would, however, advise a more prominent position for their email signup box). After visitors give their email address they are taken through to a newsletter preferences page in their ‘community‘ area where they can tag what they are most interested in hearing about (such as beach, sailing or ski). This would ideally send automated emails to subscribers based on their selection as outlined in our ski sales funnel and email marketing automation post. The table above also shows the % of traffic from search engines (whether that’s through organic or paid) as well as the % of traffic from search engines. What’s interesting to note is that the top snowboarding site Whitelines manages to pull in twice the traffic of Crystal Ski due to it’s social channels. Whitelines does have twice the number of followers on Facebook over Crystal (a huge 111k followers vs 62k) however it is excellent at utilising social to build an engaged audience and drive traffic by posting snippets of news or video clips to their page and then getting people to click through for the rest. It sometimes borders on being clickbait but it’s entertaining for the visitor and works well for them. 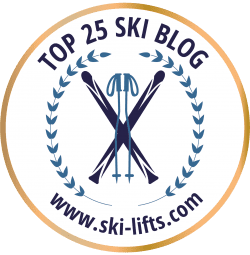 The biggest ski site in the world? You may be wondering what’s the biggest ski site worldwide? From my research that looks to be snow-forecast.com with a staggering 640,000 visits last month and what looks like 2MM in March. Although this is a UK Ltd company I (possibly unfairly) left this out of the above table due to the fact that the majority of searches over the summer come from southern hemisphere countries such as Argentina and New Zealand. The second largetst is the Mountain News’ Corporation’s US site onthesnow.com averaging around 500,000 visits a month with 75% from search and a staggering 1.5MM pages indexed in google! So looking at your google analytics, how does your site stack up? Could you be better utilising search engines through SEO and are you using social effectively to drive traffic to your site? What’s your highest converting traffic source? Did I miss out an obvious site from the top 20?! I’d love to hear any answers or thoughts in the comments below.